Want to build a sales academy for developing your sales force? IBP have developed award winning sales academies for leading companies that build sales capability at all levels plus offer accreditation and testing facilities to ensure that your sale people can actually use the skills. On the surface, sales academies seem simple to arrange and organise, but anyone who has ever tried will tell you they are difficult to coordinate and extremely difficult to measure. Most of the time they end up a curriculum of courses which sales people never finish! 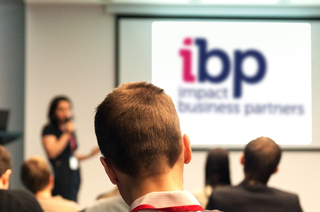 IBP work with you to build sales academies that will engage the audience and build assessments, measures and accreditation that ensure the sales people not only know what to do, but also provide evidence that they can actually do it! The Sales Manager also plays a pivotal role in the success and failure of the sales team. Statistically, after attending sales training, sales people typically increase their performance and productivity by 26%. Those who receive coaching and support following the training increase their performance and productivity up to 88%. As the manager and coach, their role is essential for the sales force and the revenue growth of your organisation. With this in mind we also build Sales Manager coaching into the academy to ensure they drive the adoption of the academy learning programmes.